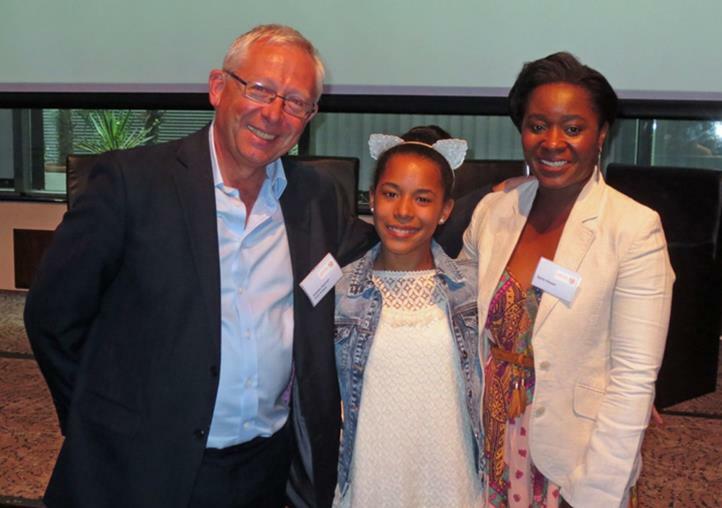 We were delighted to host our first national conference on the subject of cerebral palsy in July 2015, welcoming over 150 delegates, speakers and exhibitors to The Grange St Paul’s in central London. The programme was designed to appeal to health and social care professionals as well as legal and welfare professionals concerned with supporting people with cerebral palsy, and our speaker panel included highly regarded experts from health, from education and from the law. 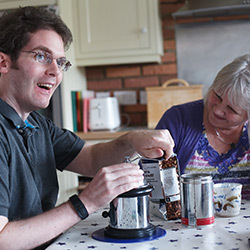 Our focus was very much on what can be achieved by people living with cerebral palsy with the right support in place. The speaker panel included acknowledged experts in their respective fields, but the biggest stars of the day were undoubtedly the people living with the condition who reinforced the positive messages presented by the medics and educators about ability rather than disability, and spoke from the heart about their very personal experiences. Sylvia Vincent spoke about her family’s experience when her daughter was diagnosed with cerebral palsy. A bright 14-year old, Tegan then introduced an animated film created to explain to her school mates about her ‘differences’; Tegan refers to herself being ‘diff(erently)-abled’ and not disabled. Who’s to say what normal is anyway? Why strive for normal when you can go for extraordinary? Every case of cerebral palsy is as unique as the child it affects. The ultimate impact depends on the type and timing of the injury on the developing brain, and the subsequent support received. Because of the breadth of the subject, as well as plenary sessions for the entire audience, we also presented streams of presentations looking specifically at birth and babies, and at children and young adults. Andrew Hannam is a partner with Foot Anstey LLP specialising in clinical negligence and mental capacity cases. He has a particular interest in brain injury and cerebral palsy claims. He worked with Sylvia Vincent to secure financial compensation to fund home adaptations and other support for Tegan. 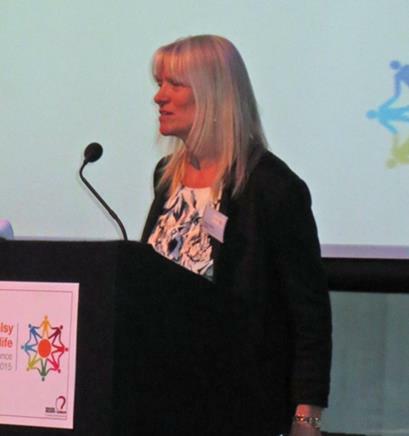 Amanda Jane Richardson joined PACE, a charity and non-maintained special school for children with motor disorders and related learning challenges, in 1995, becoming Head Teacher in 2002 and Chief executive in 2012. She also chairs Action Cerebral Palsy, a consortium of specialist providers for children with cerebral palsy and was closely involved in a parliamentary inquiry into cerebral palsy launched in May 2014. The report, published in January 2015, shows that earlier diagnosis and intervention can improve potential and reduces dependence on the State. Dr Dawn Benson is a sociologist and senior lecturer at Northumbria University. She spoke about why parents pursue litigation on behalf of their avoidably injured children, relationships and interactions amongst families and with services which both enable and disable inclusion. Gerard Martin is a QC with Exchange Chambers who has specialised for many years in cases involving severe brain injuries in both adults and children resulting from accidents or clinical negligence. He is particularly concerned to involve clients that may lack capacity in decisions that affect them. Denise Chaffer is the Director of Safety & Learning at the NHS Litigation Authority and a registered nurse and midwife. She presented data relating to maternity claims and the development of the NHSLA safety and learning function to improve safety, reduce harm, and reduce claims. Mr Nigel Simpson is a Consultant Obstetrician and Gynaecologist at the Leeds Teaching Hospitals NHS Trust and a senior lecturer at the University of Leeds. He spoke a about reducing the risk of cerebral palsy and the prevention of brain injuries during birth. Professor James Walker is Professor of Obstetrics and Gynaecology at the University of Leeds with 35 years’ experience. His particular interest is in the effective working of maternity care teams to ensure the best outcome. Paul Butler is a Consultant Neurologist with vast experience in magnetic resonance imaging. He looked at the ability for MRI to identify perinatal problems years after birth. Lindsey Hardy is an occupational therapist and clinical lead at PACE Early Years Service and has more than 30 years’ experience of working in child health. She described how PIPS (PACE Infant & Parent Service) early intervention service enables families to give their children the best start in life. 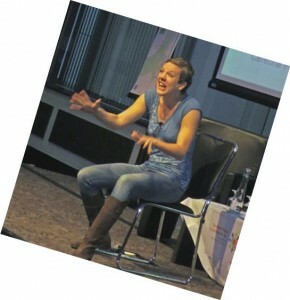 Dr Sophie Gosling is a Consultant Clinical Psychologist and clinical lead at Recolo UK Limited. She has over 20 years’ clinical experience working with children and considered growing up with cerebral palsy from a psychological and family perspective. Judith James is Associate Director at The Percy Hedley Foundation, a charity which aims to promote achievement for all disabled people. Judith talked about adopting an integrated approach to ensure excellence in education. Judith also advises on integrating children with cerebral palsy and acquired brain injury into mainstream schools. David Barker MBE is the Chief Operating Officer at The Percy Hedley Foundation. He looked at disability and employability, specifically key issues in the recruitment and retention of disabled people and overcoming barriers to work. Dr Vijay Palanivel is a Consultant in Paediatric Neurodisability at The Children’s Trust, the UK’s leading charity for children with brain injury. He considered the best available intervention evidence for children with cerebral palsy. Lee Ryan is a welfare benefits expert with leading independent financial adviser, Nestor. He spoke about how to maximise welfare benefit income for both children and young adults affected by cerebral palsy. 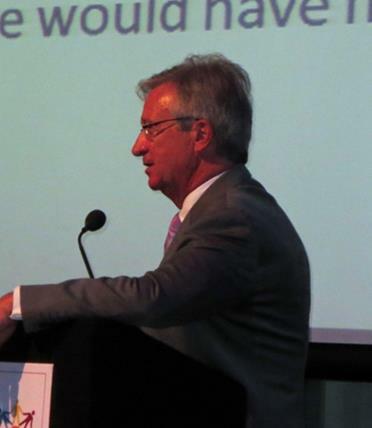 The whole event was chaired by James Drife, Emeritus Professor of Obstetrics and Gynaecology at the University of Leeds. He is also President of Baby Lifeline, the mother and baby charity that was our charity partner on the day.